It’s finally happened. 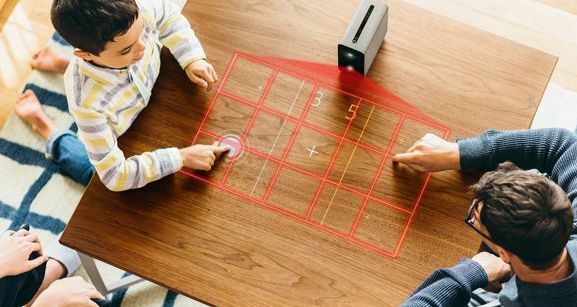 The Sony Xperia Touch has arrived in the US, and it is expensive. If you try to buy one of these bad boys on Amazon it is going to set you back $1,699.99. At this point you are either thinking that this price is way too high, or you are thinking that this price might be justifiable if the Xperia Touch is a good projector, or you may even be thinking about getting it as a projector rental. The key question of this article is whether or not the Sony Xperia Touch is actually a good projector. While I do not have any personal experiences I can inform you with, I can compile the reviews from a bunch of other sources and lob them at you for you to ponder. Let us start our review journey with the humblest of review platforms, the Amazon customer review section, in which there is only one comment for the Sony Xperia Touch at the time of this article’s publication. The lone reviewer gives the Xperia Touch 2 stars out of 5, and says that the sound system on the device wasn’t great, also saying that “The projector is a joke”, in reference to the lumens put off by the device. According to Sony’s webpage for the Xperia Touch, the projector only projects a 100 lumen image. 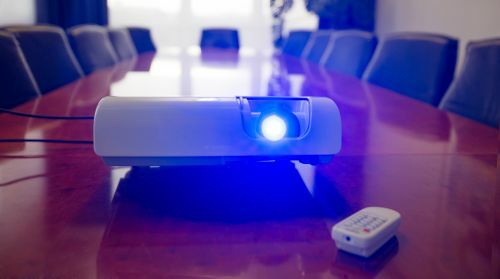 For comparison, our short throw and standard projector rentals have projection brightnesses ranging from 1500-2500 lumens, which we recommend for low light and some light scenarios, but do not recommend for well lit environments. If one Amazon review is not a good enough source for you, tech reviewers also have gripes with the display, but from what I have seen they are more forgiving of the low lumen count. However, tech reviewers are generally less forgiving when concerning the projector’s casing and battery life, so it evens out a bit. I don’t want to draw this out too much, so I am just going to say that there are much better short throw projectors out on the market if you are looking for brightness. The one saving grace of the Xperia Touch is the fact that you can touch the projected image and get a response. If that is something that interests you, shoot for the moon.